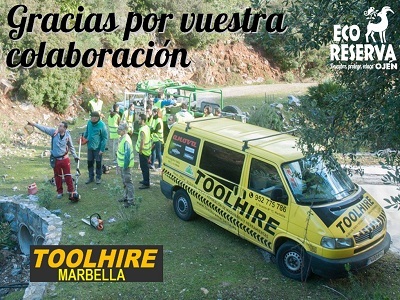 Our sincere thanks to Gregory Weyer and the entire team of TOOL HIRE – Marbella for their sensitivity and generosity. 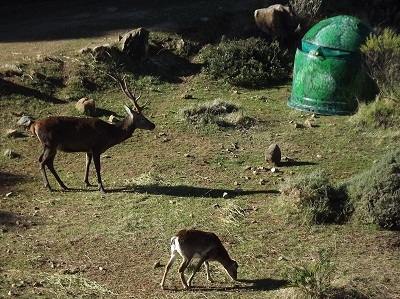 Thank you for collaborating with the Ecological Reserve of Ojén by lending us the brushcutters and chainsaws needed for the next volunteer day on January 29th regarding the cleanliness of the trails. Thank you TOOLHIRE ! You are an example of a committed and responsible company in the Costa del Sol. There is no doubt that we can count on you. You are extraordinary ! Animals are beginning to get used to the photographic hiding places. Thanks to GSA Servicios Ambientales for the loan of a glass container and to the volunteers who participed in its transformation into a secret spot.